It is recommended that applicants have at least minimal keyboard or instrumental training before auditioning as a vocal major. 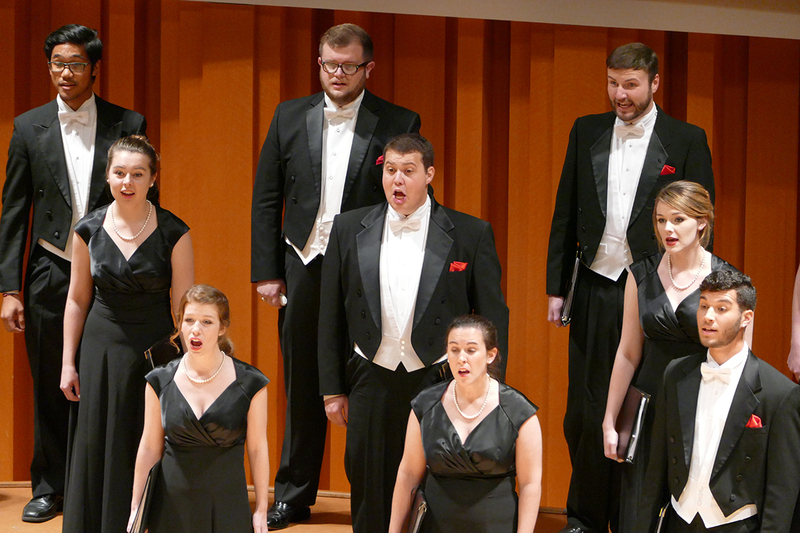 Vocal training for music majors is given largely in classical repertoire; the voice area does not offer a concentration in musical theater or jazz. Musical theater and popular music selections are not acceptable. You may use the same pieces you performed in your pre-screening for the live audition. You will be required to sing, at sight, a moderately difficult musical example. To be considered for your preferred live voice audition date, please submit your pre-screening materials (via the music application on Acceptd) by the appropriate deadline below. You may ultimately be scheduled for a live audition on your second audition date preference, so please note both dates on your calendar. Recorded accompaniments are not permitted at the live audition. On published audition days, if you cannot secure an accompanist, a UGA staff accompanist can be provided for the audition. In such cases, titles, keys, and composers of selected pieces must be emailed to the chair of the voice area, Dr. Stephanie Tingler. Please send this information as soon as possible once an invitation to the live auditions has been issued. Auditionees using a UGA staff accompanist should bring their music to the audition, either original scores or photocopies in double-sided copy format, mounted in a 3-ring binder without plastic sleeves. Repertoire questions? Email Dr. Stephanie Tingler. Admissions questions? Email Music Admissions.